Discussion in 'Lexus Lounge' started by krew, Nov 1, 2017. 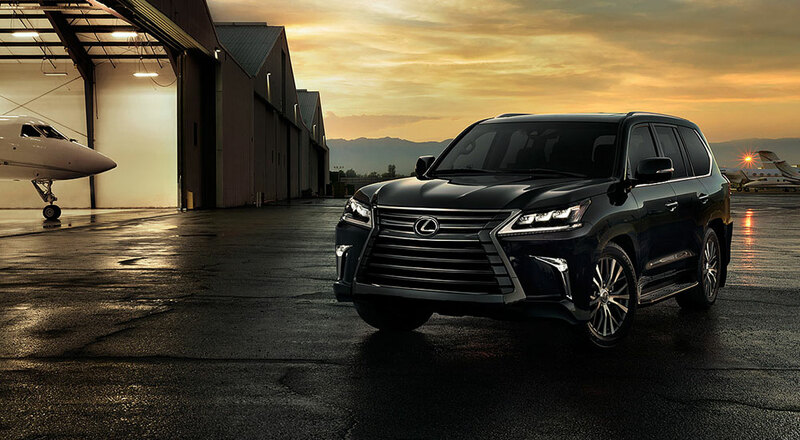 Lexus SUVs and crossovers set an all-time sales record for the sixth month in a row. Great SUV sales... When they bring out UX and RX-L, they have quite a chance to do even 20k SUV sales on certain months. Carmaker1, Trexus and Gecko like this. So since sedan sales are awful is it easier to find great deals on IS/ES/GS or no...? it should be... stock numbers seem high for all "sedans", even the LC. On the other hand, SUVs have much smaller stock, per average day on lot. Lexus really needs a more aggressive road map. Audi will drop 7 brand new models with 17 new trim variations in-between new and current models in 2018, while Lexus stands at 3 so far (LS, RX-L, UX), possibly RC refresh and maybe LC-F.
MichaelL, corradoMR2, Carmaker1 and 2 others like this. RX-L and UX are probably bigger sale gainers for Lexus than what Audi will get with their "17 trim variations". It is just PR. IS and NX are facelifted in past month, LC has been released for few months, so thats 4 updated vehicles in 6 months. Also ES is likely coming by the end of 2018 too. maiaramdan and Gecko like this. All they need, as well as everyone else, is SUVs... some big... some small.. some in between... some like coupes. No bigger proof than Rav4 vs Camry. Rav4 sales 60% bigger than all new Camry, which is at least 60% better vehicle than old Rav4, at lower price. Joaquin Ruhi, maiaramdan, IS-SV and 1 other person like this. The biggest surprise shocker, however, is Volvo's XC60/XC90 combo (40,341 sales) outselling Cadillac's XT5/Escalade combo (29,863). The IS was facelifted last year in late 2016/Q1 2017, likely not due until mid-2020. Seeing that it was going to be revealed in Tokyo (where I just came from to Dallas) and the BMW insider was partly wrong (cuz LS+), I am convinced that my Lexus China info might be more accurate once again for MY2021. 11 CTs sold in Canada vs 10 in the US? That's a first! Both dismal numbers of course. Still surprising to me is how the GX is doing so well despite the outdated interior and ride. I am not sure why was i under impression that it was just few months ago, I would guess due to the changes that they made for crash protection. Well, the ES shows that sedan sales aren't quite dead. Well, it's got some things going for it. It's well-made, durable, has three-row seating, can carry and tow a good-sized load with its body-on-frame construction, and can be had for a lot less than an LX. I had a chance to see proper IS facelift with intended Premium LED headlights and the difference is night and day. Those regular/standard LED lights come off as some cheap aftermarket plug n play stuff. Overall I think IS facelift is very much misguided, they made some changes for sake of changes and they just made it worse. I'm not going to comment too much on front, especially the questionable shape of the headlights which do not flow with new bumper extrusion. It's a complete miss. But they didn't need to touch taillight cluster direction at all. Instead of powerful horizontal lines we got some curvy stuff that takes away from the stance, yes it follows the bumper cut but it doesn't utilize the shape of the taillight properly. Kind of similar what they did with 2nd gen IS facelift when they introduced those tiny reverse light L white lines which made the whole cluster weak looking. Same thing is going on with this facelift.